The ‘Guardians of the Galaxy’ Stars Answer Your Questions Live! On Tuesday, July 22nd, members of the Guardians of the Galaxy team will answer fan questions in two online Q&A events. Chris Pratt, Zoe Saldana, Dave Bautista, director James Gunn, and producer Kevin Feige will answer questions from Twitter HQ in San Francisco beginning at 2:30pm EDT/11:30am PDT; that evening, Yahoo Entertainment will host Pratt, Saldana, Bautista, Gunn and Feige on the Yahoo campus in Sunnyvale, California, for a live Tumblr Ask Q&A. There will exclusive footage from the film and fans will have a chance to win a movie poster signed by the cast. Submitting Your Questions Is Easy…See Below for Details! WHAT: Two special Marvel’s “Guardians of the Galaxy” fan Q&A events, featuring Chris Pratt, Zoe Saldana, Dave Bautista, director James Gunn and producer Kevin Feige. – Twitter Fan Q&A: Chris Pratt, Zoe Saldana, Dave Bautista, James Gunn and Kevin Feige will do a Twitter Fan Q&A from Twitter Headquarters in San Francisco. 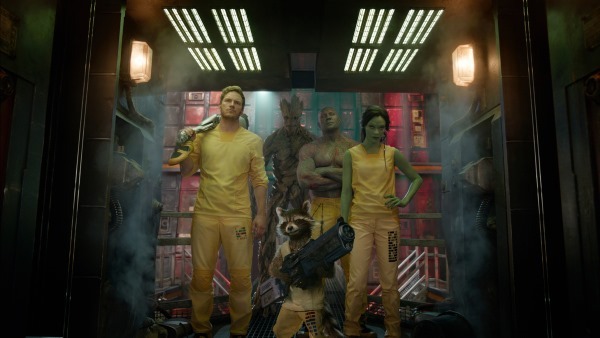 – Yahoo/Tumblr Fan Q&A: Yahoo Entertainment will host Chris Pratt, Zoe Saldana, Dave Bautista, director James Gunn, and producer Kevin Feige on the Yahoo campus in Sunnyvale, Calif., for a live Tumblr Ask Q&A. Fans tuning in will see an exclusive clip from the film and, If they submit a video question, they have the chance to win a signed cast movie poster. Fans will be able to live stream the event on Yahoo Screen on iOS, Android, mobile Web, desktop, and Smart TV platforms, including AppleTV, Roku and Xbox 360. Link: The ‘Guardians of the Galaxy’ Stars Answer Your Questions Live! – For the Twitter Fan Q&A: Use hashtag #AsktheGuardians to ask your questions. – For the Yahoo/Tumblr Fan Q&A: Upload a video post to your Tumblr: use #GOTGask and tag @yahooentertainment in the caption, or via the Yahoo Entertainment Tumblr Ask page. Previous PostA-Listers Guest on Fox Animated Series; Simpsons Star Hank Azaria Nabs Lead of Bordertown!Next PostJ.J. Abrams Reveals X-Wing Fighter for UNICEF Fundraiser!